Siraj Sirajuddin (SIRAJ), SPCT4, MBA - has been working with very large offshore scaled agile engagements since 2012. He has been in the Indian offshore development advisory business since 1992. 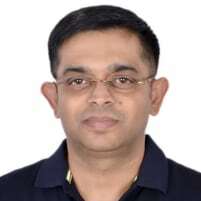 He is one of the very few global SAFe SPCTs (Scaled Agile Framework/SPCTrainers) and he is India’s first SAFe Program Consultant & Trainer (SPCT4). Siraj has trained more than 200+ SPCs in India and several thousand scaled agile professionals all over the world. 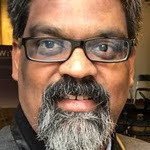 He is the Founder of The Temenos Effect and hosts the annual Temenos Effect Gatherings in Bengaluru India and Boston USA. He founded Temenos in 2012 after two decades of intense experimentation and deep dives into the challenging work of Enterprise, Agility, Culture & Leadership Transformation. His consulting firm, Temenos+Agility, is India’s premier provider of advanced Scaled Agile training, consulting and advisory for offshore vendors and GICs (Captives). Temenos+Agility is a Gold SPCT partner with Scaled Agile/SAFe and he and his team work with large and complex enterprises all over the world.He travels between India and USA every month leading several large onshore / offshore client engagements and training workshops. With his 22+ years of experience with people and process improvement, Siraj has provided excellent change management coaching and leadership to large and medium sized organizations from all over the globe. He invented several unique techniques under the Temenos umbrella (Influence Maps, Supplication, Exit & Re-entry, Language of Elegance, The Interview, Clean Slate, Cereal Box, Intensive Collaboration & Discovery) that are now used for managing strategic plans and scaling operations / projects at various client locations. Siraj completed his MBA in 1992 from BIM, Trichy and he continues to learn every second! He loves poetry, travel, music, books and being with people. He brings tremendous energy and passion to every engagement (woo hoo! ).